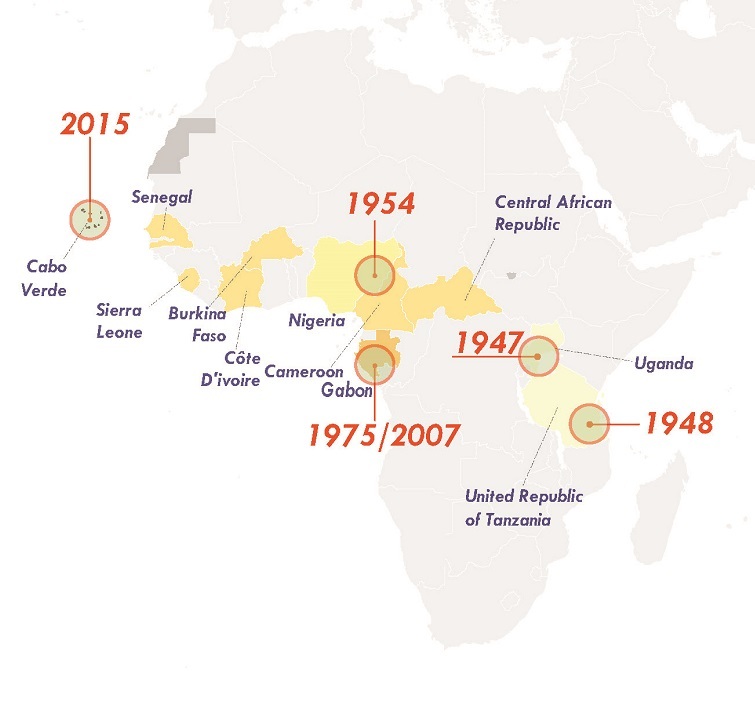 A chronological map of the presence of Zika only in those countries for which there is evidence of indigenous transmission by mosquitos, excluding the many countries that have notified imported Zika. infections. The following timeline summarizes the spread of Zika infection, country by country, from the earliest discovery in 1947 to the latest information as of 7 February 2016. Zika virus infection appears to have changed in character while expanding its geographical range.